2. Registration: in front of the Lecture Hall 613 (6th Floor). - Early registration: Sunday, February 19, from 15p.m. to 18p.m. - Late registration: after and before Plenary lectures on Monday and Tuesday. There are daily direct flights from Da Nang to Incheon and vice verse. Other option is to fly via Hanoi or Hochiminh city. 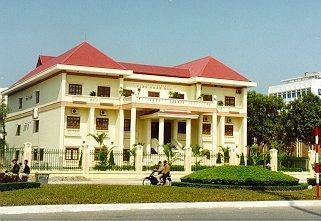 There are many hotels of different category in Danang. Here is the list of 6 hotels near the Conference (Maximum one kilometer). The city of Da Nang is situated in the centre of Viet Nam, 764km from Ha Noi and 964km from Ho Chi Minh City. Located on international sea and air routes, Da Nang has an especially favourable location for rapid and sustainable development. Da Nang International Airport is one of the three largest and most modern airport of Vietnam, normally less than 10 minutes drive to the city center. There are daily direct flights from Da Nang to Incheon. Other option is to fly via Hanoi or Hochiminh city. Average temperature is about 260C, the highest is 28-300C in June, July and August; the lowest is 18-230C in December, January and February. The average annual rainfall is 2504.57 mm / year; highest rainfall on October and November the average of 550 - 1,000 mm / month; lowest in months January, February, the average from 23-40 mm/month. Terrain of Da Nang has just plain and mountain, high mountains and steep concentrated in the North West and West, from here there are many mountains run long to the sea, some low hills interspersed alternative narrow coastal plains.